Jim Keith: »Mass Control: Engineering Human Consciousness«, Litburn 1999. For the best, most concise introduction to the mind control information, we highly recommend our mind control summaries. These fact-filled summaries provide revealing mind control information from both landmark books and declassified government mind control documents. An abundance of footnotes back up the information presented and provide links direct to government documents and other reliable sources for verification of information presented. The first two listed are general summaries. The following three are 10-page summaries of excellent, well researched books on mind control. 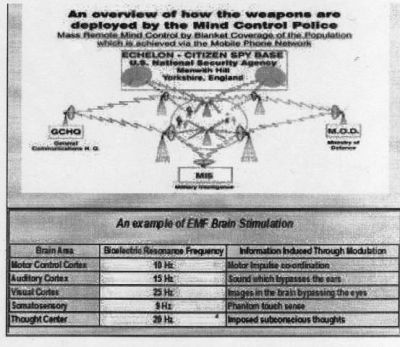 Most Important Mind Control Information Document: A compilation of excerpts from declassified CIA mind control documents describes secret government programs in which hypnosis was used to sexually abuse young women. Hypnosis along with drugs and electric shock were also used to create unsuspecting assassins, alter personality without the knowledge of those being altered, and much more. Links are provided to view the scanned images of the original incriminating documents, along with information on how to order these documents directly from the CIA for verification. If you are ready to travel deep down the rabbit hole, you will very much appreciate this powerful compilation of official CIA documentation. We can use this disturbing information to both to awaken the public and build a brighter future for us all, where everyone is treated with respect an dignity. Top Mind Control Information News Articles: We have collected many news articles from highly respected media sources which contain eye-opening information exposing various aspects of the mind control cover-up. Links are always provided to the original sources for verification. The first link below contains one-paragraph excerpts from incredibly revealing news articles with the most important articles listed first. The second link provides the same article excerpts listed by order of date posted to WantToKnow.info, while the third lists them by the article date. The fourth link below contains a list of only headlines and links to some of the most important articles. Below these four links, headlines and links to the entire text of several of the very best articles are also provided. 4. I. Chernishev, "Can Rulers Make `Zombies' and Control the World?" Orienteer, February 1997, pp. 58-62. 5. Douglas Pasternak, "Wonder Weapons," U.S. News and World Report, 7 July 1997, pp. 38-46.3. Ibid., p. 38. 6. FM 101-5-1, Operational Terms and Graphics, 30 September 1997, p. 1-82. 7. Joint Pub 3-13.1, Joint Doctrine for Command and Control Warfare (C2W), 7 February 1996, p. v.
8. The American Heritage Dictionary (2d College Ed. ; Boston: Houghton Mifflin, 1982), p. 660, definition 4. 9. Denis Snezhnyy, "Cybernetic Battlefield & National Security," Nezavisimoye Voyennoye Obozreniye, No. 10, 15-21 March 1997, p. 2. 10. Victor I. Solntsev, "Information War and Some Aspects of a Computer Operator's Defense," talk given at an Infowar Conference in Washington, D.C., September 1996, sponsored by the National Computer Security Association. Information in this section is based on notes from Dr. Solntsev's talk. 13. Larry Dodgen,"Nonlethal Weapons,"U.S. News&World Report, 4 August 1997, p. 5. 14. "Background on the Aviary," Nexus Magazine, downloaded from the Internet on 13 July 1997 from www.execpc.com/vjentpr/nexusavi.html, p.7. 15. Aleksandr Cherkasov, "The Front Where Shots Aren't Fired," Orienteer, May 1995, p. 45. This article was based on information in the foreign and Russian press, according to the author, making it impossible to pinpoint what his source was for this reference. 16. Bob Brewin, "DOD looks for IT `golden nuggets,'" Federal Computer Week, 28 July 1997, p. 31, as taken from the Earlybird Supplement, 4 August 1997, p. B 17. 17. Oliver August, "Zap! Hard day at the office for NATO's laptop warriors," The Times, 28 July 1997, as taken from the Earlybird Supplement, 4 August 1997, p. B 16. Late last year, James Walbert went to court, to stop his former business associate from blasting him with mind-altering electromagnetic radiation. Walbert told the Sedgwick County, Kansas panel that Jeremiah Redford threatened him with “jolts of radiation” after a disagreement over a business deal. Later, Walbert, said, he began feeling electric shock sensations, hearing electronically generated tones, and getting popping and ringing sounds in his ears. On December 30th, the court decided in Walbert’s favor, and issued a first-of-its-kind order of protection, banning Redford from using “electronic means” to further harass Walbert. No, seriously. I recently took part in a BBC Radio 4 program, which took a light-hearted look into the “the real Manchurian Candidate” — and examined whether there is any truth in stories of mind control. It gave me a chance to talk about exotic non-lethal weapon concepts like the so-called telepathic raygun, the system which beams sound directly into your skull, and the “voice of god ” talking fireball. Most of these projects are just lab experiments, or examples of Powerpoint engineering. 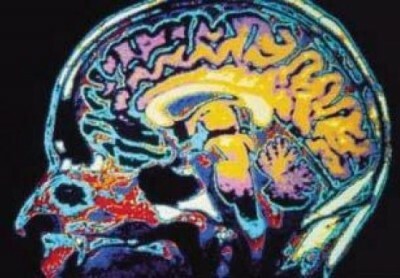 But in some legal, policy, and business circles, electromagnetic brain assaults are being taken seriously. Walbert’s cause is supported by Jim Guest, a Republican member of the Missouri House of Representatives. He’s working on proposed legislation to addresses electronic harassment, including a bill against the forced implantation of RFID chips. The U.N. is also now taking the possibility of electromagnetic terrorism against people seriously. And for the first time this year’s European Symposium on Non-lethal Weapons included a session on the сocial implications of non-lethal weapons, with specific reference to “privacy-invasive remote interrogation and behavioral influence applications.” Those who believe they are being targeted are getting a bit of official recognition. For some, this opens up a new business opportunity. There are already quite a few companies out thereoffering “ Technical Surveillance Counter Measures,” or sweeps to determine if you are the victim of electronic harassment. As well detecting the usual bugging devices, they can check if you are being covertly bombarded by microwaves which may be the cause of “headache, eye irritation, dizziness, nausea, skin rash, facial swelling, weakness, fatigue, pain in joints and/or muscles, buzzing/ringing in ears. ”Much of this trade may come from people with symptoms caused by something less exotic than high-tech military hardware. But companies will no doubt be willing to sell them expensive protection measures, anyway. And as awareness of these developing technology projects increases, we are likely to be hearing a lot more about “electronic harassment,” “gang stalking” and the like over the next few years. And there is also likely to be what folklorists call “Ostension,” or acting out. Now that there are so many websites explaining how easy it is to harass people by zapping them with a modified microwave oven, sooner or later someone is bound to try it. Does Somalia's New Pirate-Fighting Militia Stand a Chance? There have been extensive, systematic violations of human rights by American psychiatrists, psychologists, and neurosurgeons throughout the second half of the twentieth century. These violations have occurred at the leading medical schools with funding from the Central Intelligence Agency (CIA) and the U.S. military. Experiments have involved brain electrodes, LSD, hypnosis, the creation of Manchurian candidates, the development of biological, chemical, and nonlethal weapons, and the implantation of false memories and creation of amnesia. Many experiments were conducted on unwitting civilians and none involved documented consent, adequate outside review, or representation for the experimental subjects, or any meaningful follow-up. Because such still-classified mind control programs are undoubtedly ongoing, there should be disclosure requirements for psychologists and psychiatrists presenting or publishing in subject areas related to their CIA and military contracts, just as there are for civilians in relationships with drug companies. Heute waren schon 5 visitors (38 hits) hier!